For the winter of 2013, a man should appear rough, with a little smoothness around his edges. 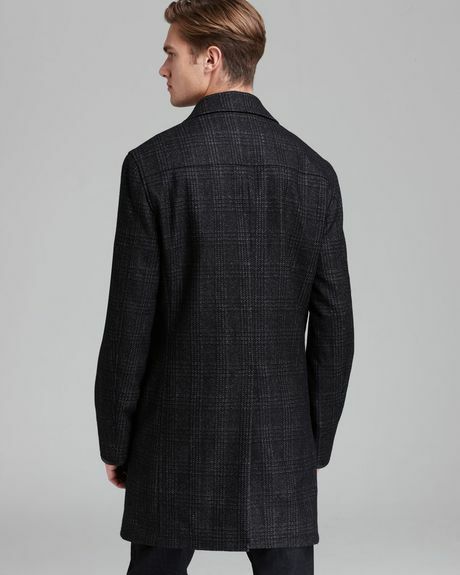 Introducing the John Varvatos topcoat, which covers a man from shoulder to thigh in a dark wool plaid (50% wool, 30% polyester, and 20% cotton). Three button are added for a touch of class and elegance, the inside is fully lined for comfort, and a center back vent adds some style with a brush of practicality (a man’s got to breathe). Two pockets are stitched into the sides, along with one pocket on the inside breast. 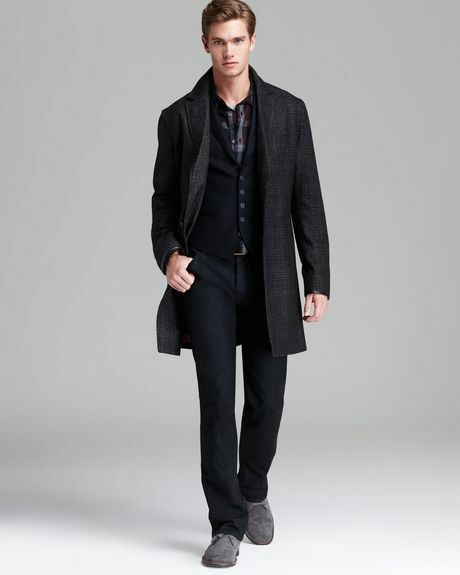 This Varvatos topcoat also comes with soft leather trim highlighting the edge of the collar, sleeves, and pockets. Unfortunately, a night out on the town is not included with its price, but comes highly recommended.